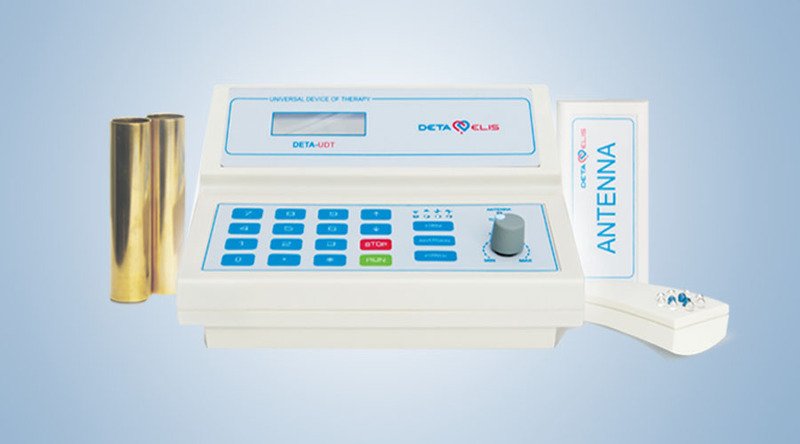 It is a device that combines the DEVITA RITM and the DEVITA COSMO into one device. It is not so portable as these devices which are pocket size, so this is more designed for the health practitioner to have in their office for treating patients. The device uses a special antenna which enables therapy to be applied to the whole body while the patient sits in comfort and relaxes. The device is capable of Energetically balancing and treating 443 diseases with specific programme frequencies. The health practitioner also has the capability to programme the DEVITA-UDT so that it can run a series of frequencies automatically – this saves the practitioner a lot of time. A total of 8 frequencies can be input and run in series automatically as one programme – the frequency range of the device is 0.1 Hz to 100 Hz – this is the frequency of most of the organs of the body. To make treatments with the device more effective, two modes can be used concomitantly. The Quantum Light mode can be used on any of the 19 zones of the body, and also the Electromagnetic Therapy mode using the Antenna to heal the whole body. Below you can see Training Videos (in Greek) taking the viewer through the use and programming of the Deta UDT.